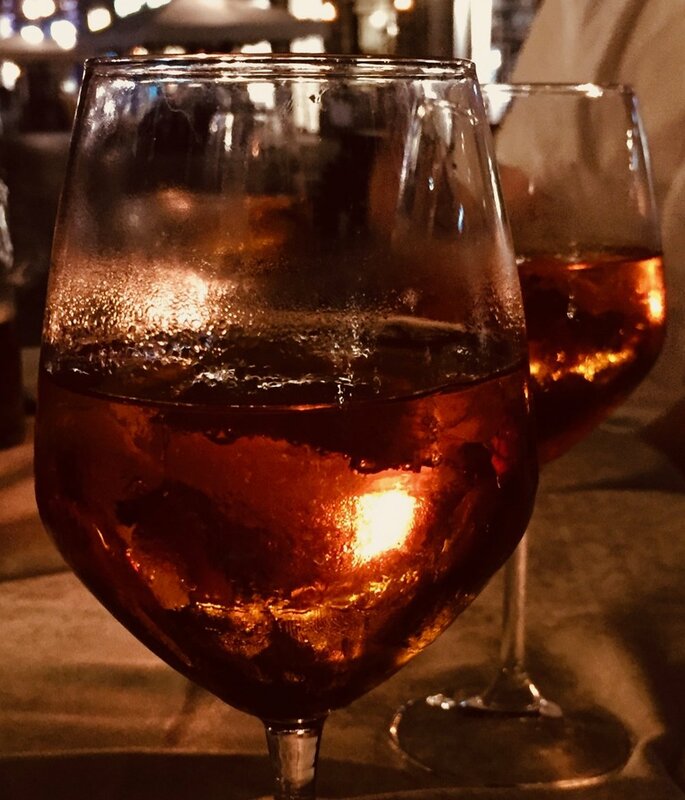 A celebration of patent research in Milano, finished with an Aperol spritz. - Photo by Cathy Chiba, 2019. It’s that time of year to sit back and reflect on the past and look forward to the future. Only the other night as I sat in my comfortable all-embracing armchair, chestnuts roasting on an open fire, Jack Frost nipping at your nose [Stop it! - the Editor]. Err... oh sorry...well, we done it! We pulled off the first ever Patent Olympiad! For those of you who weren’t there in Milan in September last year, well you missed a treat! Twenty-five contestants from 10 countries signed up for the Patent Olympiad. In the bright morning light of 9th September, 2018, they gathered in a lecture theatre in the Politecnico di Milano to begin their gruelling three-hour patent triathlon. The competition was based on 3 separate contests: a prior art search, the creation of a search strategy, and finally, answers to a set of multiple choice questions. Each contest was marked separately, but the overall mark was the deciding factor for who were to become Gold, Silver, and Bronze champions. As with traditional triathlons, all three contests had to be completed in order to qualify for consideration amongst the finalists. 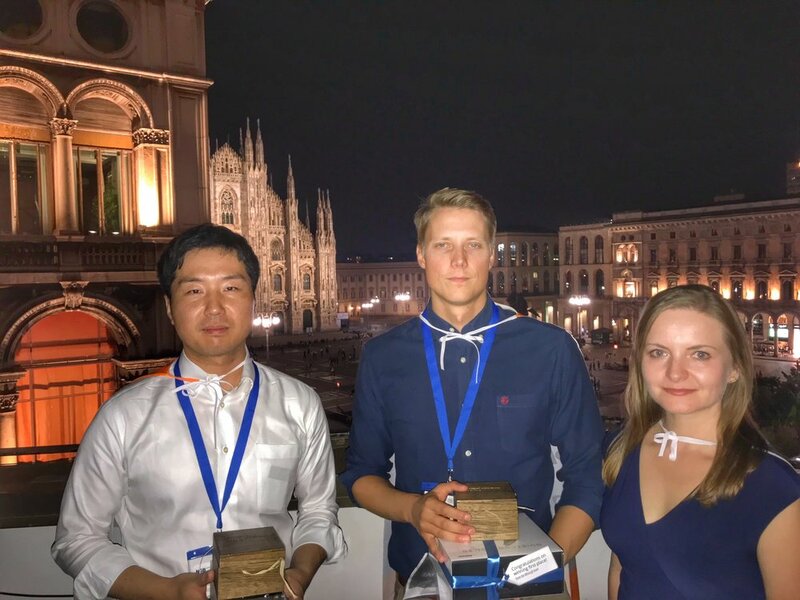 Each of our champions was presented with their Patent Olympiad trophy at the CEPIUG Anniversary party on the 11th September in the magnificent Palazzo dei Giureconsulti. In addition to the trophies, Minesoft, in the person of Rahman Hyatt, generously presented each new Patent Olympian with a valuable electronic goodie prize. After the prize-giving it was away off up to the roof tops for a photo shoot with the new champions. We congratulate all of our contestants. Thank you for taking a chance with us. You may not have won gold or silver or bronze, this time. It was a really tough competition. To you, we say we hope you will try again. and our sponsors: Minesoft, Google, and Aulive (PatentInspiration), who also generously donated prizes. We are also grateful to our hosts – CEPIUG for hosting us at their 10th Year Anniversary Conference, and the Politecnico di Milano for providing the rooms. A special mention must go to the Man of the Match, Guido Moradei of CEPIUG, AIDB and Quaestio Patent Information Partners SRL, for organising the thousand and one logistical details – you know where the devil is don’t you? Finally we mustn’t forget the imagination, resourcefulness and sheer determination of the founders: Tall One, Long Hair, Little Voice and BeardandGlasses who all have day jobs, but who gave up lots of their free time to see it through from beginning to end, and who are insane enough to think about organising another one! Ooops sorry! .......I’m just reliving those dreamy but inspiring late summer days in Milan and beginning to imagine the next Patent Olympiad.